Like It Or Not, the Water Is Coming: Will the Bay Area Defend Against Rising Seas, or Embrace Them? You can shove water back from the land, or let the land flood, but either way, San Francisco Bay is getting higher. Along more than 400 miles of bayfront, in at least forty communities that touch water, the once-sneaky problem of sea level rise is revealing itself as it accelerates. At airports, at power plants, in subsiding urban areas and in shoreline development, rising seas are challenging our choices about living next to water. Since the days when our best gauge was a numbered stick and a sharp-eyed observer, San Francisco Bay has been rising. At the Presidio station tidal gauge, the level of the bay has risen 8 inches since 1900. Now the state of California is warning nine Bay Area counties that climate change means the bay is rising faster. Extreme tides, whipped by storms, have become both more frequent and more extreme. California’s latest and best word on sea levels, a report issued last spring predicts that San Francisco Bay could rise from five to 15 times faster this century than the last one. As water claims more space in our bay, we can choose to embrace it, or separate ourselves from it. We can learn to love a wetter landscape, or battle flooding and the risk we perceive from it. And over the past century, we’ve mostly chosen the latter course: to defend. Scientists say climate change could cause San Francisco Bay to rise 5 feet by 2100, a time when many of of today's children will still be living. Everything from driving to flying to flushing your toilet is at risk. Natural protection includes mounded earth that can absorb water and lowlands where it can flood without damaging buildings or putting the power out. Climate change is now pressing on a shoreline devoid of that protection, a shoreline mostly locked in place by a century of development decisions. Our predecessors filled in 80% of historic marshes, widened and spread out the lowest-lying lands along the water, and built critical resources in places most likely to flood. Placing water treatment plants at sea level was once an engineering no-brainer: gravity drove sewage downhill, and sent treated wastewater directly into coastal waters, so these plants were more efficient. But now, fifteen water treatment plants around San Francisco Bay have a sea level rise problem, and a dozen more could develop one within your children’s or grandchildren’s lifetimes. If one fails, people inland and upland couldn’t flush their toilets; this kind of flooding would affect five times as many people on average as coastal flooding alone does. Sea level rise reveals to us that, in critical ways, the line we draw between water and land is an illusion. Even one “hardened” piece of shore changes how waves and tides move throughout the bay. Seawalls and levees fortified with riprap reflect wave energy back into the bay and keep water from spreading inland. That raises water levels everywhere. As seas rise, Stacey says more walls along one part of the bay could promote more flooding in another. The relationships among moving waters and the surrounding land are complex, connected, and interdependent - and that’s influencing how some people envision the future. The problem is, year after year we’ve committed to living behind these lines. Billions of dollars in housing, critical infrastructure and other assets are defended by walls and levees. In some places, public officials say there’s no choice but the choice we’ve already made. Two cities are seeking public support for raising walls along San Francisco Bay - Foster City voters will decide one measure on June 5, and San Francisco may weigh in on its ballot in November. 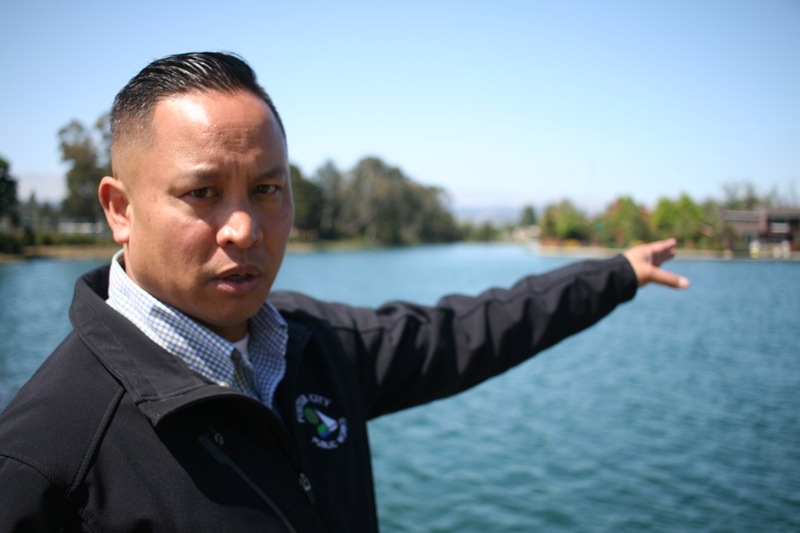 Measure P in Foster City asks voters to approve a $90 million tax to raise the city’s levee. No marshes or tidal lands protect Foster City; they were destroyed with tons of sand to create a bedroom community for Silicon Valley. And in San Francisco, officials say multiple natural threats demand immediate repairs to the seawall. The Port of San Francisco’s resilience director, Lindy Lowe, weaves among schoolkids and scooters, tourists and Tuesday lunchgoers: it’s a sunny, showoff day along the Embarcadero. Under our feet is the seawall that destroyed San Francisco’s marshlands, added acres to the city and turned the port into a deep-water powerhouse. But the wall is vulnerable, both to king tides and earthquakes. 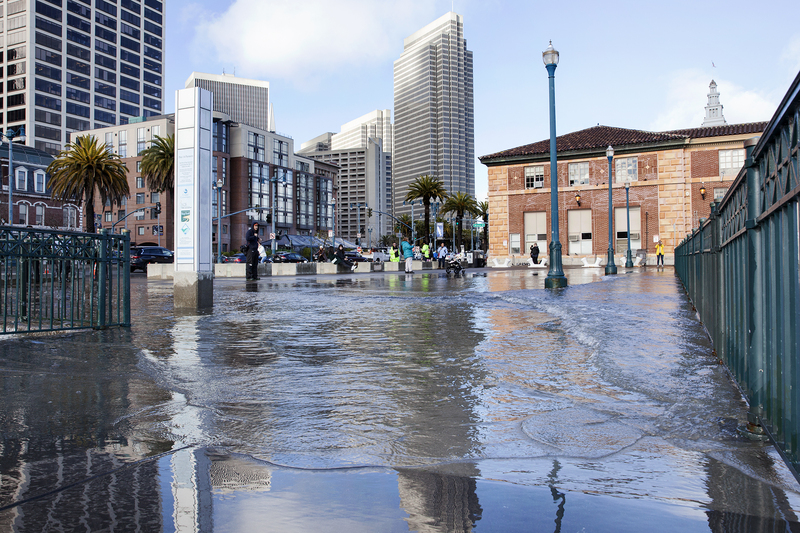 High tides routinely spill over the Embarcadero. More important, the seawall could fail today, in a major quake. The Embarcadero could drop several feet in an instant, and critical utility, transportation and communication systems could fail. This fall, the Port of San Francisco aims to ask voters to approve a $425 million bond to help protect the Embarcadero seawall from seismic and sea level risk. That would be the first bite into a project that could total three to five billion dollars. These price tags may sound high. But behind these dividing lines are billions of dollars in property. Policymakers say strengthening those defenses is both cost-effective and necessary. Urban designers have been exploring alternatives to walls over the last year, in the Rockefeller Foundation-funded Resilient by Design challenge. That’s logic Bay Area voters already have supported on a large scale, passing Measure AA in 2016. 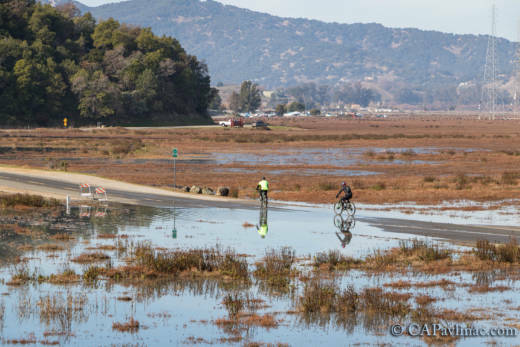 The $12 parcel tax now raises $25 million a year to restore tidal wetlands that have disappeared around San Francisco Bay. 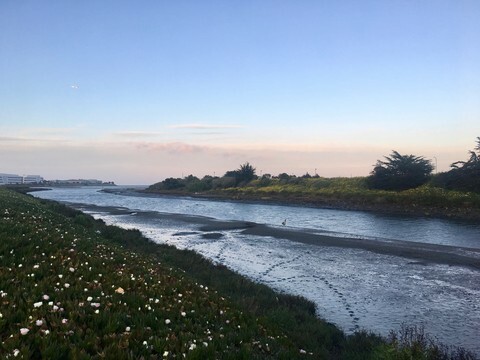 “They are remarkable things both for the ecosystem and for flood protection,” says Dave Pine, who also chairs the San Francisco Bay Restoration Authority, which oversees Measure AA revenue. He acknowledges that there’s a gap between the need and the funds; of 22 projects that applied for the first round of restoration funds, only 9 will get a kick-start. 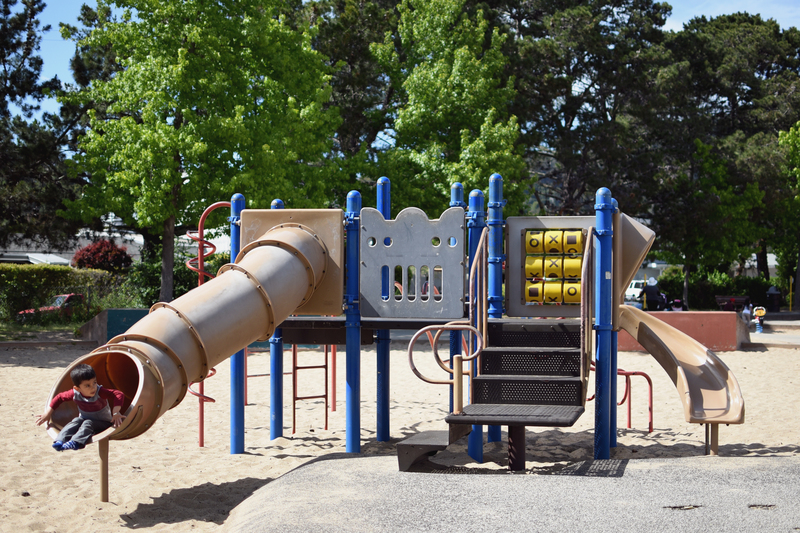 Landscape architect Marcel Wilson hopes San Rafael can get some of those funds. Wilson has spent a year in that city’s canal neighborhood, one of Marin’s most vulnerable places. Here, workforce housing shares blue water with yacht clubs. A traditional defense against rising waters here would rely on gates, bigger pumps, and taller walls. Instead, Wilson’s team has been pushing to use raised earth to absorb water, and curved lines to redirect wave energy rather than bounce it back. “Resilience is about the options that you create for yourself down the road,” Wilson says. In the canal neighborhood, that would mean sharing space with water, abandoning low-lying buildings, and using natural berms as a means of control. It’ll take a lot to accomplish, but Wilson’s not daunted.